Capturing childhood's sweetest memories - and what is there that's sweeter than a chicken!!!?? ... why, a entire basket of baby chicks! And that basket is *filled* to overflowing, too! Soft and sweet and can't you just hear the peeping! What a treasure photograph! 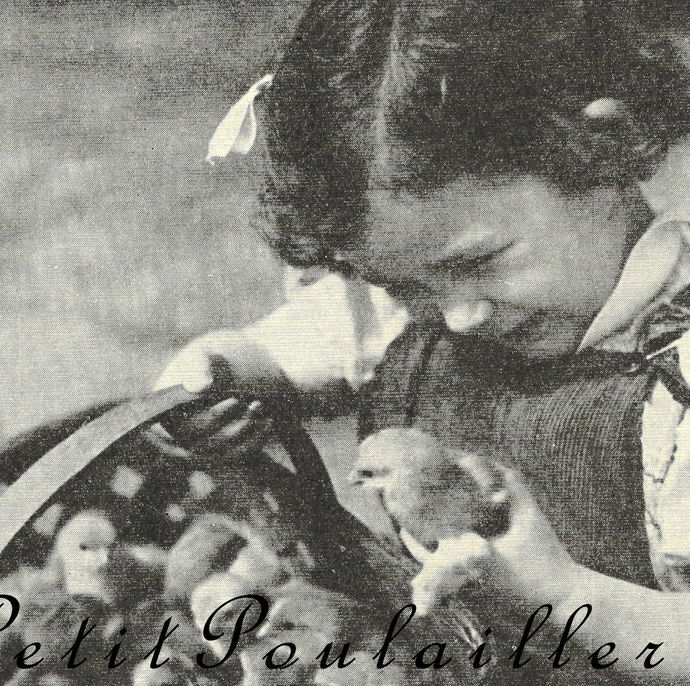 In crisp black and white, the photograph captures the little girl's face caught up in delight, her sweet overalls, the basket of chicks on her lap - precious! 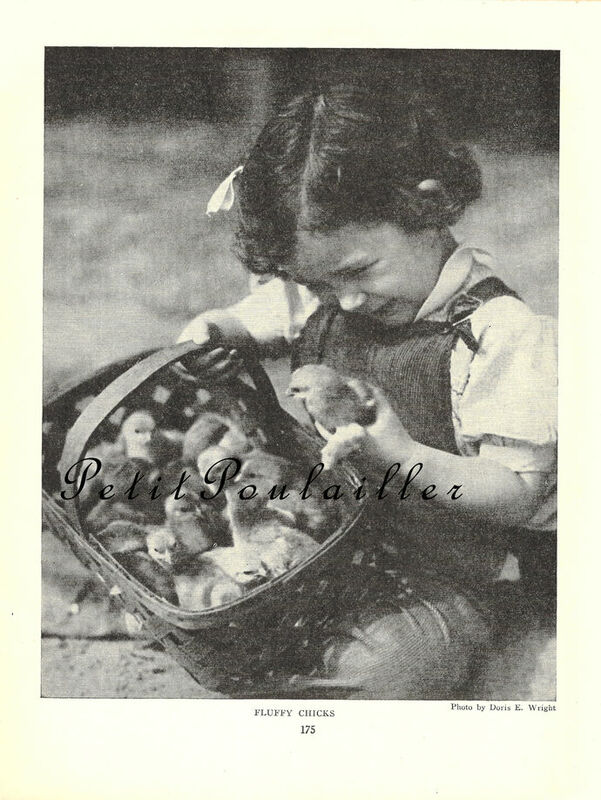 The sweet scene is captured in a beautiful 1927 rotogravure by Doris E. Wright and captioned 'Fluffy Chicks'. The paper is in excellent vintage condition - no mars or lines to be seen. Perfect for your art, darling to frame! 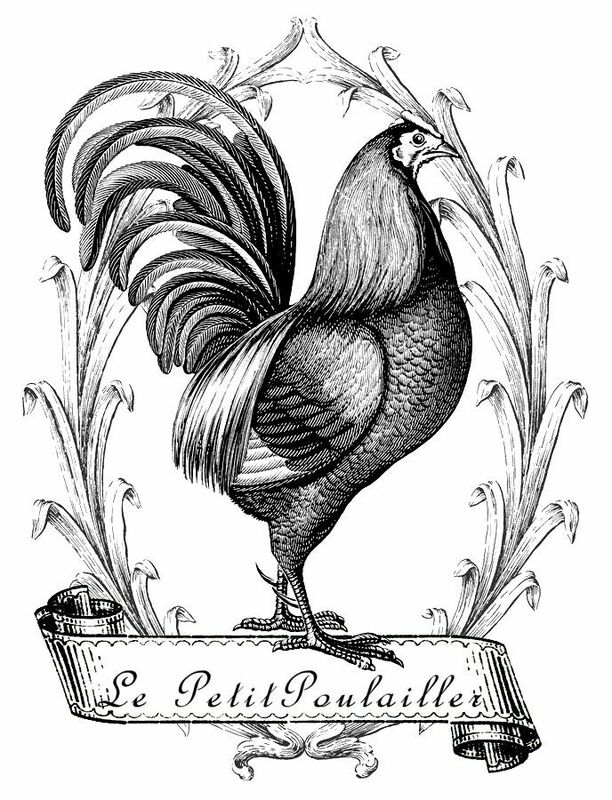 The heavy paper measures 7" x 9.125" (18x23 cm) and there are no tears, folds, creases, or marks.